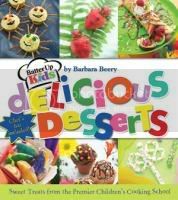 to review HERE from Batter Up Kids Cooking Shopz It is a very cute book that I am excited to cook more from in the future, here is the simple recipe my little LoveBug and I used. Melt candy coating according to package directions. 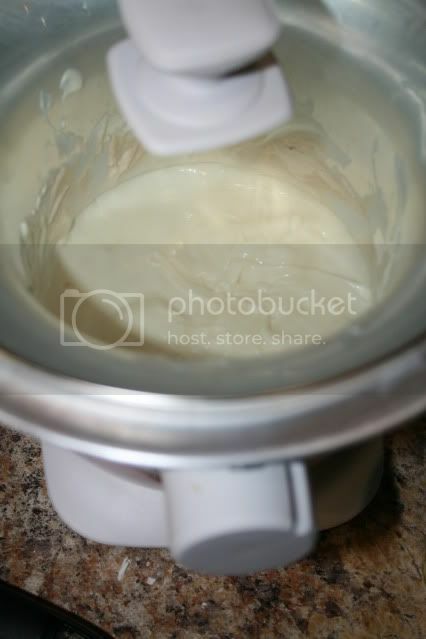 Remove from heat and pour into 2 or 3 small bowls. 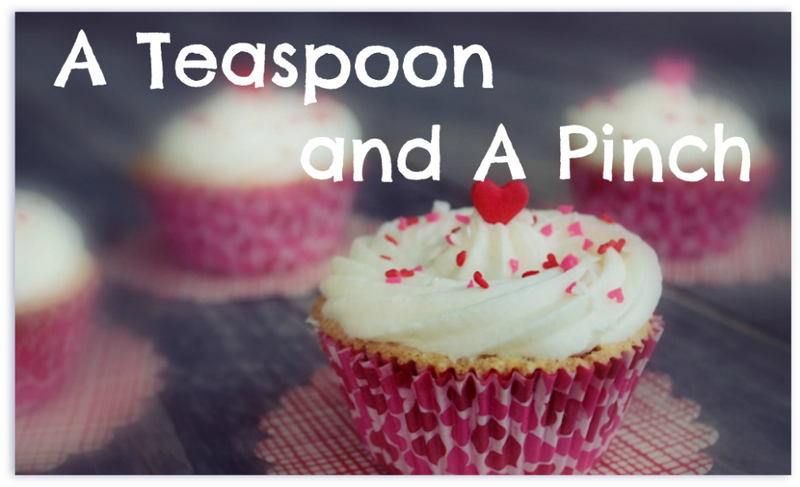 You may add 2 to 4 drops of food coloring to each bowl. Stir to blend color. 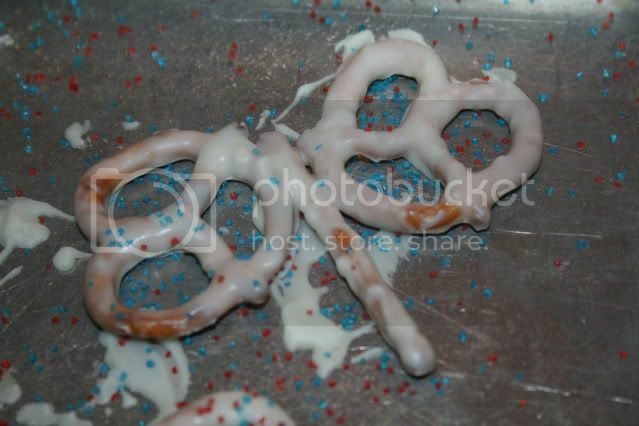 Carefully spoon the warm melted candy coating over each pretzel rod to cover completely. 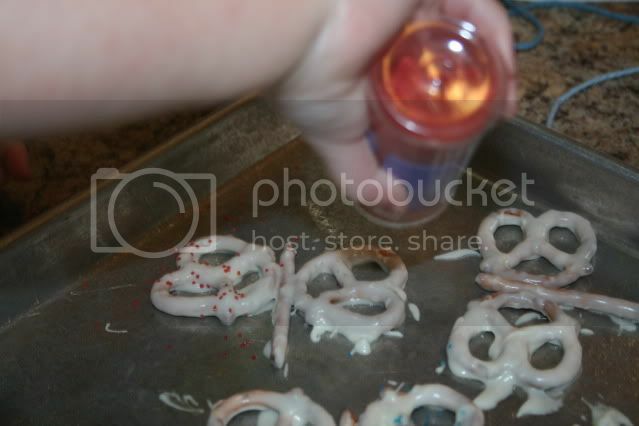 Dip each pretzel twist in the candy coating and place one on each side of the upper half of the prezel rod. 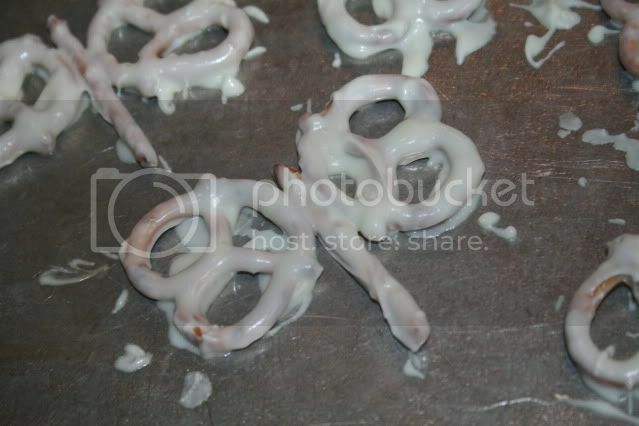 The pretzel twists should actually rest on top of the pretzel rod and just barely ouch one another. This forms the dragonfly's wings. I found out I didn't have foil at the last minute so we just threw the cookie sheet in the freezer for a min. 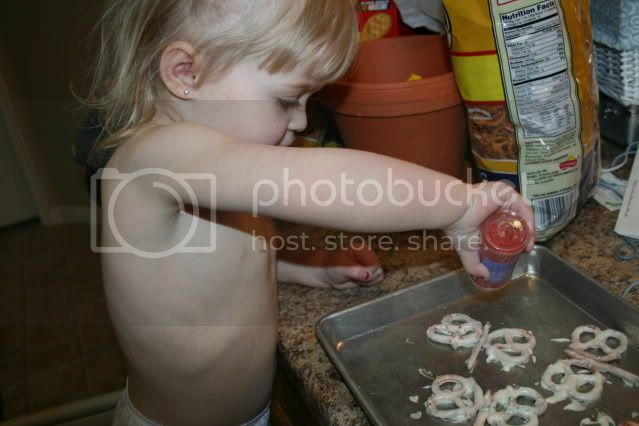 before placing the hot dragonflies on the cookie sheet. Also I don't have pictures of my dd' dipping them, because I don't have ten hands to help her, take pics and also make sure she doesn't get burned. 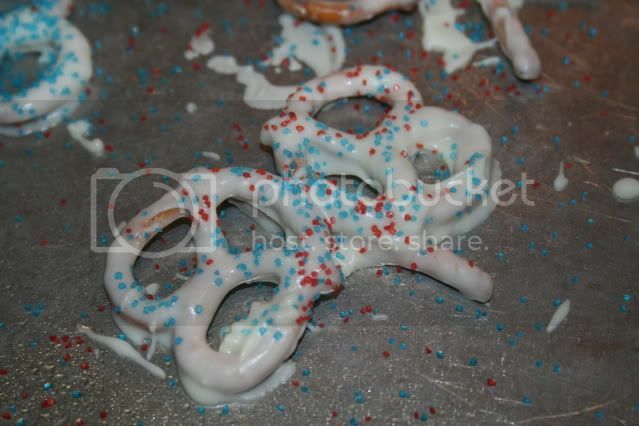 Sprinkle each dragonfly pretzel with colored sugars or sprinkles. 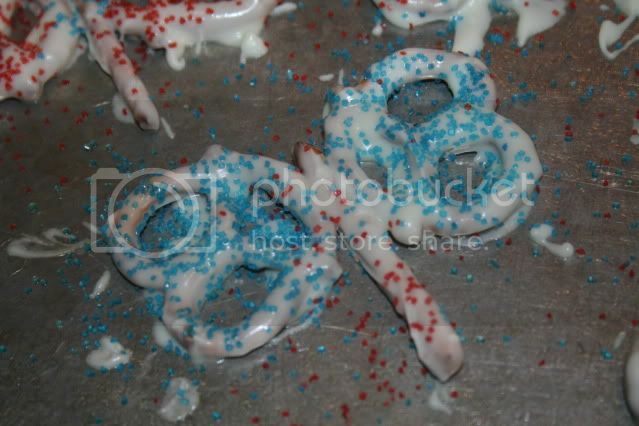 Place cookie Sheet in freezer for 5 to 10 minutes to allow candy coating to harden. 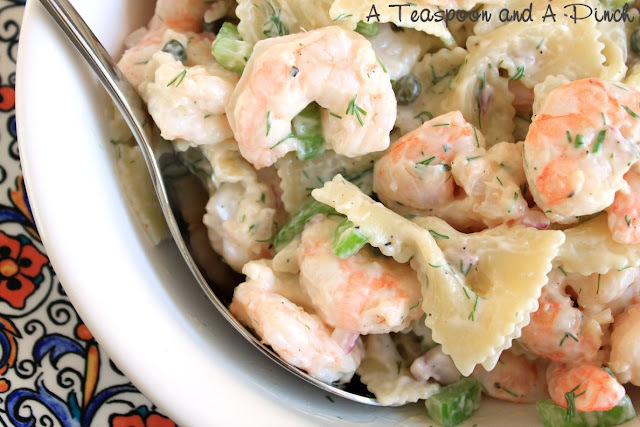 Remove from freezer and carefully take each dragonfly off cookie sheet to serve. Don't let them fly away before you have a chance to take a bite! -- When I said that my to two year old said to me "no silly" it was hysterical! Oh my two year old will love these too. Thanks..
How cute are these?! It sounds like you had alot of fun in the kitchen too.